In order to make leveling and grinding easier we added some extra maps in our game.There will be no party monster spawn in Arabian Cost but keep in mind,those monsters has bleed effect but 20% more drop rate!! You can find the teleport in Donwhang. We added Seal of Star item drops to monsters to make it a little easier. You can obtain them from Alexandria Salt Desert,Valley,Arabian Coast and Job cave. 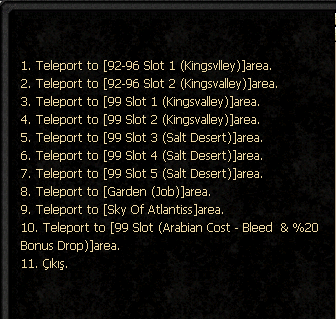 You have 20% extra chance to get Seal of Star drops in Job cave and Arabian cost maps. Seal of Star gears also can be dropped from Arabian Coast uniques with 50% chance. Also drops have 50% chance to be garment,25% protector and armor. Job Cave uniques drops Seal of Star Accessories with 20% chance. Also we added Seal of Star Weapon to Medusa drops with 80% drop rate!! You can obtain Seal of Atlantis from SOA boxes. Some information about SOA boxes. SOA boxes has 5% chance to give an item to you. You can earn SOA boxes in 6 diffrent ways. -Isis,Anubis,Selket,Neith,Karkadan,Khulood,Venefica uniques drops 2 SOA boxes. -You can buy SOA boxes from our npc with arena coins. -After selling 10 trades you will receive a SOA box. But to avoid problems and cheating,we changed hunter income as oesn't matter 1 or 7 traders you have in your party,only 1 of them will count in your 10 trades and you need minimum 15 minutes to receive another one. You can only receive SOA boxes once in 24 hours and we have PC limit 1 for SOA boxes in trading. -The unique inside the Madness Event drops 2 SOA boxes. -Medusa drops 3 SOA boxes. You can only obtain Seal of Moon Shield from FGW in Atlantiss.FGW and collection talisman will be active from the begining of the server but before the 6th May you can't get your MOON Shields. Seal of Moon Shield is untradeable. You can obtain Seal of Moon Weapons with Job Point, Survival Coin, Arena Coin and CTF Coin. SOM Weapons will be enabled with the update on 13th May. You can obtain Seal of Moon Gears with Job Point, Survival Coin, Arena Coin and CTF Coin. SOM Gears will be enabled with the update on 13th May. Head,Chest and Legs parts of SOM gears are untradeable and Shoulder,Hands and Foot are tradeable! You can obtain Seal of Moon Accessorries with Job Point, Survival Coin, Arena Coin and CTF Coin. SOM Accessorries will be enabled with the update on 13th May. In Atlantiss you need Job Points to purchase your SOM items.Weekly Job limit is 475.With trading you can maximum get 400 job points weekly and 75 with Job Kills. Trader chars will receive 5 Job points after each 5* trade. Hunter chars will receive 1 Job point after each 5* trade,but maximum 7 job points in 15 minutes. Thief chars will receive 4 Job points after selling a 5* loot. Each Job kill you make in Job will give you 1 Job Point. You can get Job point from same char you kill in 24 hours only once. Inside the Surival Arena you will receive +1 point after killing someone but you can get points from killing same char inside only twice. 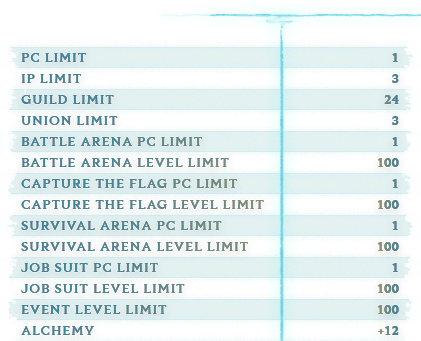 After the Survival Arena top 3 in rank will receive some rewards. Inside the Survival Arena each kills you make will give you 1 Survival Coin but you can only receive Survival coins from killing same chars 1 time in 24 hours. You are going to use Survival coins to purchase SOM items. Weekly survival coin limit is 100. Survival coins will be untradeable. Inside the CTF each kills you make will give you 1 CTF Coin but you can only receive CTF coins from killing same chars 1 time in 24 hours. You are going to use CTF coins to purchase SOM items. CTF coins will be untradeable. Winner side of Battle Arena will be rewarded with 8 Arena coins and loser side 2. You can also obtain Battle Arena Coins from Isyutaru,Lord Yarkan and Demon Shaitan. Each unique drops 8 Arena coins. 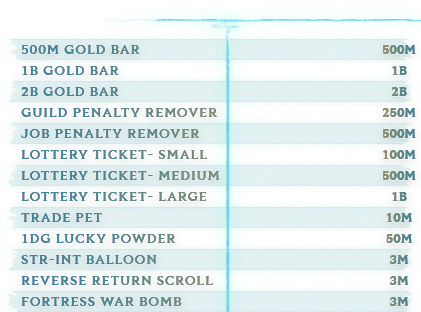 After using Lucky box you will receive one of the items below the list with 30% luck. You can farm Honor Points with 3 diffrent ways in Atlantiss. -Survival Arena kills will give you honor points! 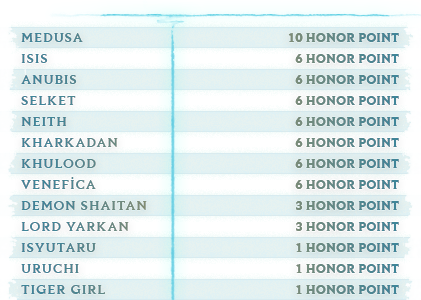 Keep in mind you can receive honor points from the same char only 2 times in 16 hours. -Each Job kill you make will give you honor points! Keep in mind you can receive honor points from the same char only 1 time in 16 hours. In order to spend the gold you make ingame we have added a speacial NPC for that! Check the list below to see what you can get from our gold NPC!! You can obtain Silks,Silk items and SOS Accessories from the Job Cave uniques. We changed Selkhet as STR aswell! Selket and Neith will be spawned at 00:30 and 16:30 everyday inside the Job cave. You can see the drop list below! Isis and Anubis will be spawned at 01:30 and 19:00 everyday inside the Job cave. You can see the drop list below! Karkadan , Khulood and Venefica will be spawned in Arabian Cost area every 6 hours. Karkadan changed as STR. You can see the drop list below,SOS GEAR drop rate from your drop is 50% garment,25% armor and protector. You can teleport the Medusa room from the teleport we added in DW. Medusa will be spawned at 23:00 everyday. We added Normal Uniques as STR and INT in Atlantiss. TG,Uruchi and Isyutaru spawns every 1 hour. Lord Yarkan and Demon every 1:30 hour! You can see the drop and point list from the list below. We added 3 special Guardian Of Atlantiss uniques inside the Sky of Atlantiss! You can only defeat those uniques inside with your party and each unique has diffrent drops. Also you can find Sky of Atlantiss quests from the NPC we added in DW. You can only teleport inside the temple 1 time a day,reset time is 23:59 everyday. You can find the quest of Guardian of Atlantiss(ICE) in our Quest NPC. After killing that unique every member of the party will receive the quest. You will receive a SOA box after completing the quest. Guardian Of Atlantiss(FIRE) has 3% drop chance of dropping SOS Shield after killing it! After we enable the SOA box openings with our update SOS shield drop will be replaced with SOA Shield! You can find the quest of Guardian of Atlantiss(SKY) in our Quest NPC. After killing that unique every member of the party will receive the quest. You will receive 15 million skill points after completing the quest. You can use those skills points for our special Sky skills! Those skills are slightly better than normal ones. Each Sky skill needs 30 million skill points to unlock! You can receive those skill points from Sky Of Atlantiss quests. In Atlantiss we removed Town to Town routes and NPCs and added 2 diffrent routes. Wanted System only works when you have your Job Suits on. As long as you stay alive and kill your Job opponents you will receive a cool buff!! You receive diffrent buffs after 10-20-30-40-50 kills,you can kill same char only twice in 24 hours for your wanted buff! When you die you will lose your Wanted buff. 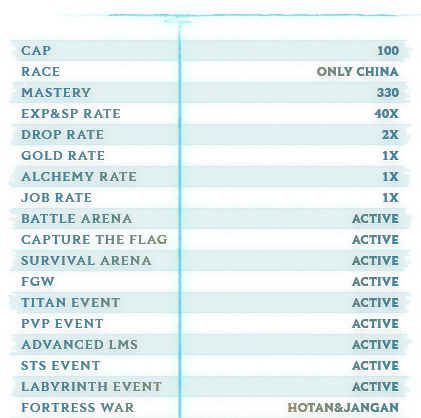 We added a lot of events that players knows and new ones!! Lucky party number will take place at 12:30 and 17:30 everyday. Event will be 3 rounds and each round winner will receive 50 silks. LMS will take place at 14:30 and 19:30 everyday. Winner of the event will receive 150 silks. Lottery event results will be announced at 22:45 every night. 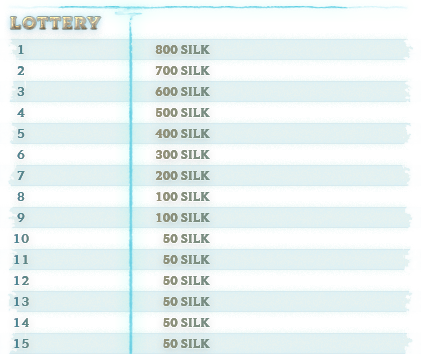 In order to participate you have to buy Lottery tickets from the GOLD NPC. Rewards of the lottery event is below. Madness Event will take place at 22:00 everyday. You can participate in event from the teleport we added in DW. Inside the Madnes event whoever kills the unique and top 3 killers will receive rewards! Party is allowed inside. After the launch of Atlantiss first 100 players of who reach level 100 first will receive Silk rewards. This event is something you never seen before! We made this for Atlantiss!! Each Titan unique will spawn around their own spawn points. Each Titan unique has their own points, Top 3 unique killers of this event will receive Silk rewards!! As you can see from the name advanced version of LMS event. This event has 4 phases and maximum 100 players can participate. In order to be part of this event you need to get a ticket from the NPC,that ticket is free. You can't make Part in this activity. -First thing first,after teleporting the LMS area system will auto put a cape on your char,if you die you will be eliminated and teleported out. When there is 30 players left alive 2nd phase will start. -In 2nd phase you will see 30 monsters spawned only. Only 15 of those monsters has a key inside,you can only kill MOBS in this phase. Only the players with KEY drop can go to next phase which is 3rd. -In the 3rd phase players will be in PvP mode again and only the 2 players who stay alive will be the true warriors of the last phase!! -4 phase will be between last 2 players. In this phase there will be a Unique spawned,players can hit each other but main goal is to kill that unique!! Whoever kills the unique will be the winner and rewarded with 300 silks. 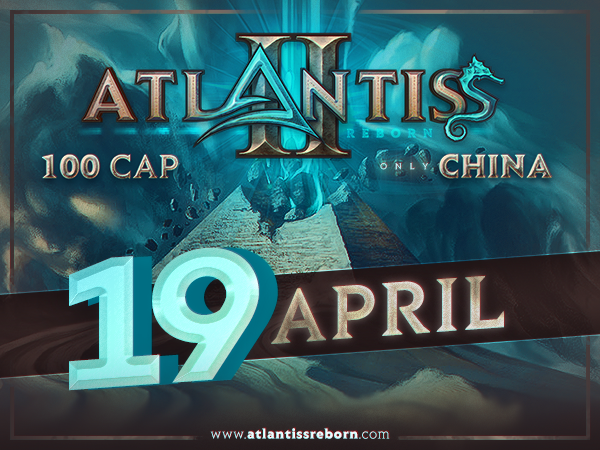 Another event we developed for Atlantiss online! You can participate in event by buying a ticket from our NPC. This event will be between 32 players and Squads will be created by our system randomly. Event contains 3 phases. 4 Teams will be teleported into 2 diffrent rooms A and B,each room will have 2 teams. Teams will fight against each other and winner side will go to next round. In this round teams will be teleported into 2 diffrent rooms again. You have to kill 30 mini uniques in time during this round. Which team kills the mini uniques in time will be ported to next round! 3rd and last round squads will be in same room! You can hit each other in this room. Main goal in this room is to reach to the BIG unique which will give you the rewards! In order to participate in this event you need to buy a ticket from our NPC. Ticket costs 50 M and event starts with minimum 32 players. 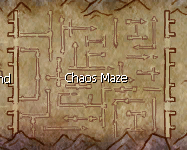 Labyrinth activity will be in Chaos Maze clone map of Alexandria. When the event starts players who bought tickets will be teleport to labyrinth map and uniques will spawn. Each unique you kill inside will count as 1 point. Top 3 players with most unique points will be the winners of this event! You can see the rewards below. Asura Cut Blade- Knock Down damage will be changed to 75%.